Joicaster is a web-based live streaming syndication platform that takes a single live stream and pushes it out to multiple services, including YouTube Live, Ustream, and Twitch, as well as commercial sites. Joicaster is affordable, straightforward to operate, and performed well in all my tests. 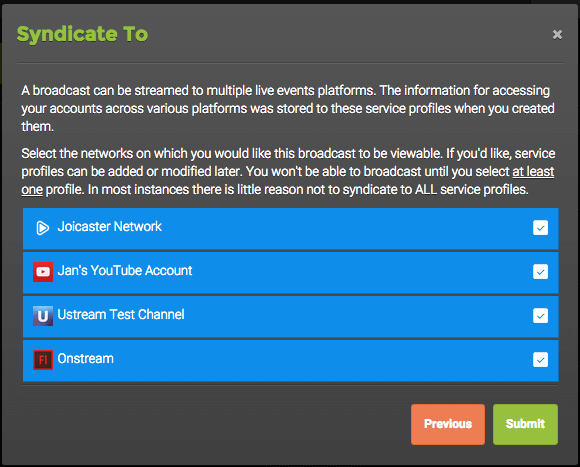 If distributing to multiple live streaming platforms is a problem for you, Joicaster could very well be the solution. 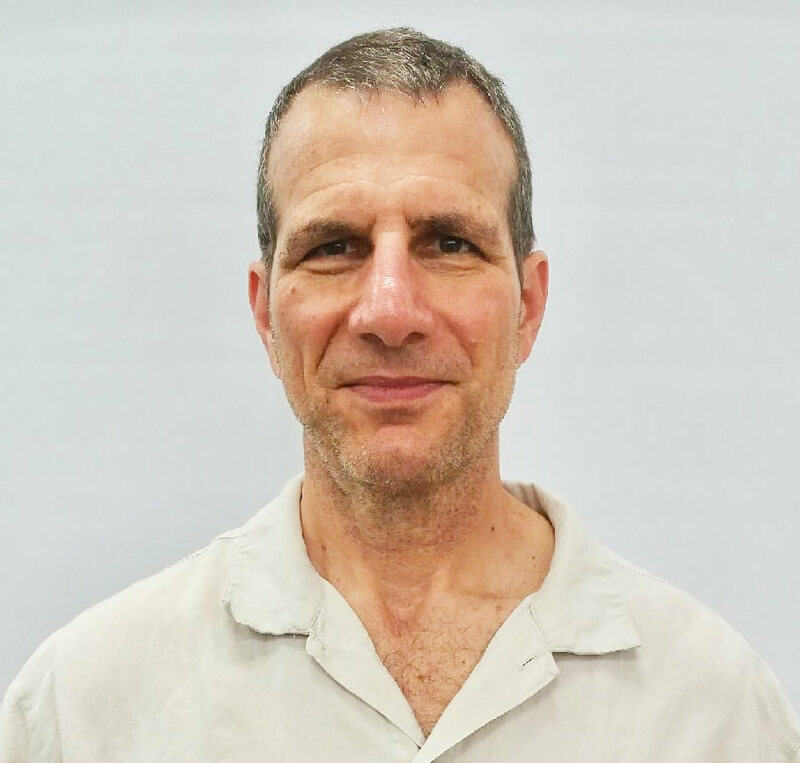 The “single-stream-in-with-distribution-to-many” paradigm is simple to understand, but the types of sites you can transfer to, and other features, vary significantly from plan to plan, which you can compare at joicaster.co. I mostly tested with the Enterprise plan, which provides access to multiple business-oriented and consumer sites (with Roku coming), and provides a generic RTMP preset that allows you to target any RTMP-compatible site; I used the preset to send a stream to webinar provider Onstream. If you’re on a lesser plan, you can only communicate with sites that the service supports directly. The number of sites is growing, but isn’t comprehensive. Operating Joicaster involves two primary concepts: stream profiles and broadcasts. 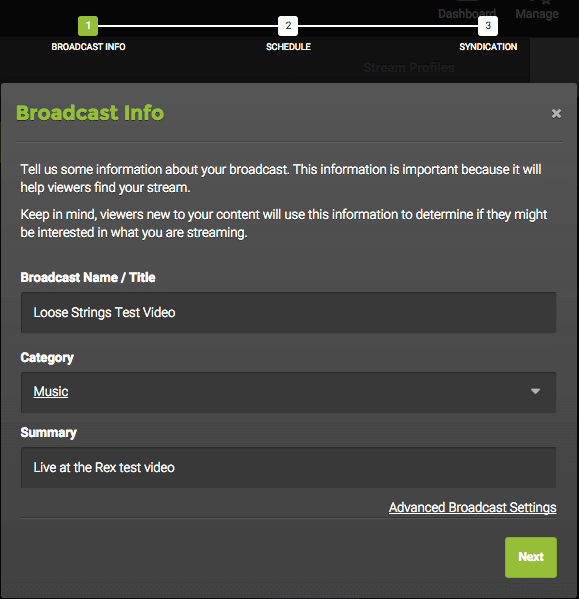 Stream profiles are the sites that you’ll redirect the video to, and broadcasts are scheduled (or impromptu) occasions on which you’ll transmit the streams to those sites. Joicaster does an excellent job of simplifying the operation, starting with an introductory tutorial that walks you through the main interface elements on the website. Once you’re ready to start streaming, you should start by creating stream profiles, or target sites, so you can include them easily in future broadcasts. This process, as you might expect, starts when you click Add Stream Profile, which initializes a wizard-driven process, the first phase of which is a dialog box that displays all the sites available for your subscription level. Figure 1 shows the dialog from a free account that I created; though you can access YouTube and DailyMotion, Ustream requires an upgraded account. Figure 1. Accessible targets vary with account level. You add accounts one by one, clicking the check box to select the service, then Next on the lower right to start the configuration process. With some accounts—such as YouTube, where Joicaster has integrated with YouTube’s application programming interface (API)—you choose your YouTube account and allow access to Joicaster via simple menu options. With SideArm, you’ll have to enter in the RTMP Address and Stream Name, plus your login credentials. 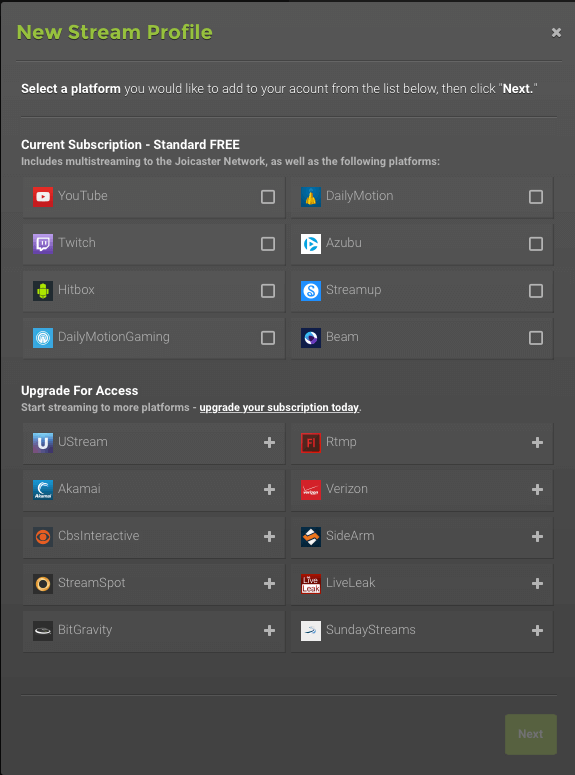 This is the exact same data you’ve had to enter into your live streaming encoder to connect to these sites before, so it should be familiar ground for most live streamers. Once you’ve configured your stream profiles, it’s time to set up your broadcast. Though there is a Broadcast Now feature, you’ll probably want to plan ahead for most broadcasts and create them in advance. You start in Broadcasts page and click Add Broadcast, which starts another wizardlike process during which you input the event details (Figure 2), configure some options, schedule the event, and choose your target Stream Profiles. Options include the ability to promote the event via Facebook and Twitter, and to enable/disable YouTube Live features such as DVR and archival. How these broadcasts integrate with your target platforms depends upon multiple factors. With Ustream, among other sites, you broadcast to a fixed page, so you don’t have to do anything other than initialize the stream in Joicaster. However, the classic operation of YouTube Live is event-based (a Stream Now feature is in beta), which means you have to create an event to broadcast to it. Since Joicaster has integrated with YouTube’s API, the service creates the event for you, as it will for other API-integrated sites. If your target site is event-based and isn’t supported directly via its API, you’ll have to set up the event manually beforehand. This is how I sent the stream to Onstream Webinars; first I created the event in Onstream, then I configured Joicaster for that event. This description makes the operation sound more complicated than it is. Most sites are like Ustream, with fixed target and display pages; for these sites, you can start streaming from Joicaster at any time, without any extra set-up. On the other hand, if you’re distributing to many enterprise sites, you’ll probably have to set up the event or distribution point as normal, and supply the address, stream name, and credentials to Joicaster before the broadcast. Back on our narrative, after you enter the broadcast information shown in Figure 2, you click Next to choose the date, time, and duration, and the sites to syndicate to (Figure 3). Click Submit, and Joicaster saves the broadcast and adds it to the Dashboard and Calendar. Free app for iOS and Android lets viewers watch video on multiple platforms; broadcasters can send live video links by email.